We get a lot of questions about shearing our sheep. 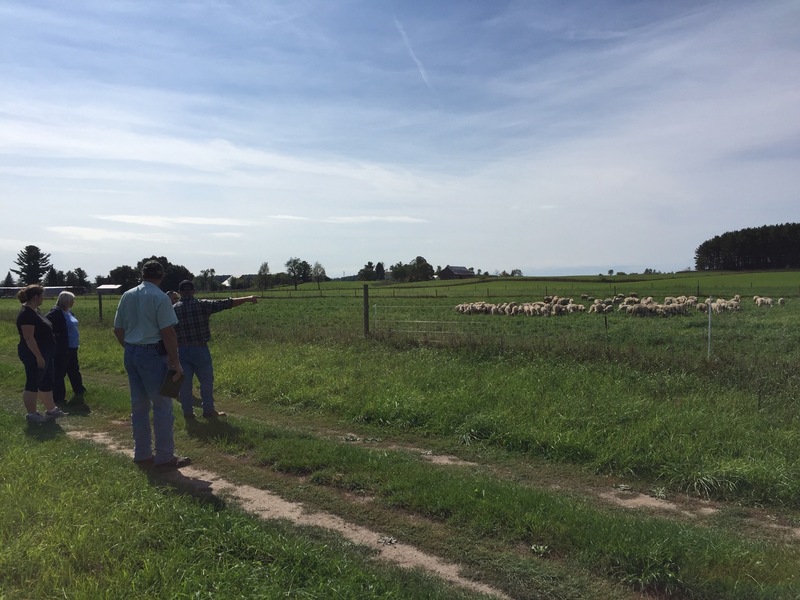 On our farm we shear ewes (mature females) before they have lambs, rams (mature males) in May with the spring lambing group and lambs at 3-4 months old. 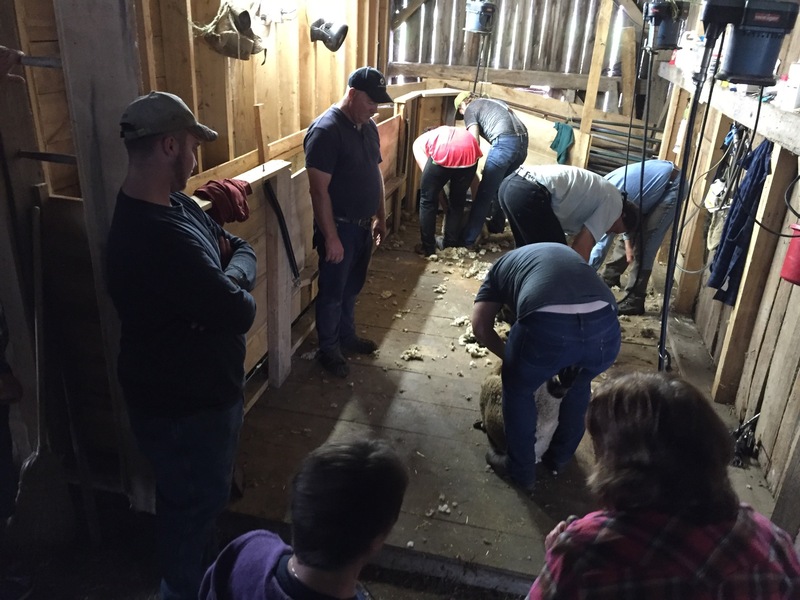 The ewes that are shorn in the winter are able to use a barn for shelter. As you can see in a photo from today’s 30 degree temperature, our sheep are still comfortable outdoors during nice weather. Shearing promotes the health of ewes and lambs. 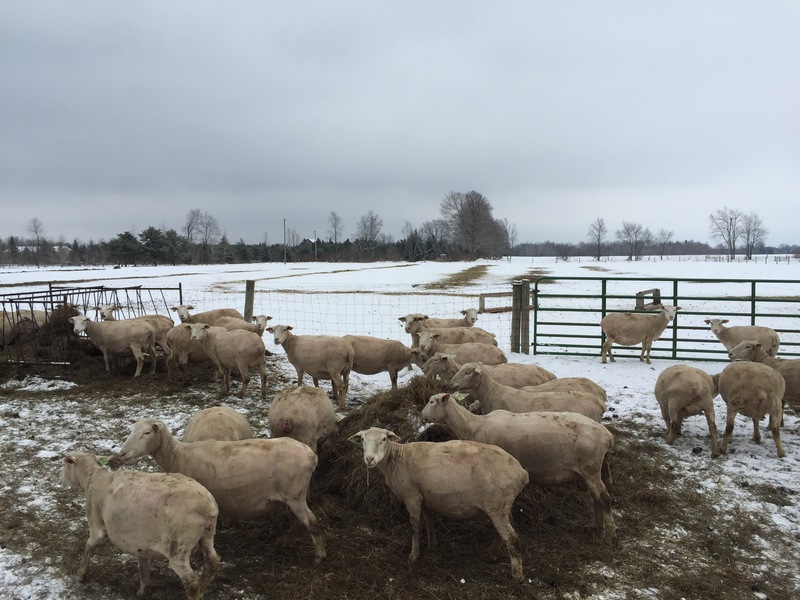 Their health is improved because the barn is drier, as wool can hold a lot of moisture. Shorn ewes also make nursing easier for lambs because the udder is easy to find. An added benefit is that, if shorn when the ewes come into the barn, wool is kept clean before it’s harvested. “May the wool of your sheep be soft & warm,” as one of our wall hangings says.